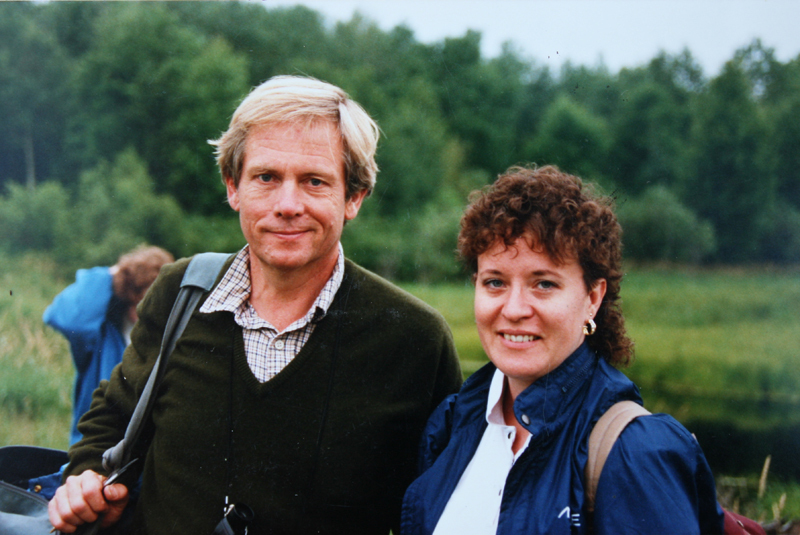 Jan Martin McGuire - Wildlife Artist, Naturalist, Adventurer - Book - "Journey"
Jan's mentor and friend Robert Bateman has written the "Forward" to Jan's book! This is extremely exciting to Jan as she credits Bateman for the success of her career - and how finding out about him - and then attending her first workshop at the age of 27 with him - changed her life. She went to many, many workshops over the years. Bateman use to call her his favorite "stalker". Now he calls her "one of his best success stories". 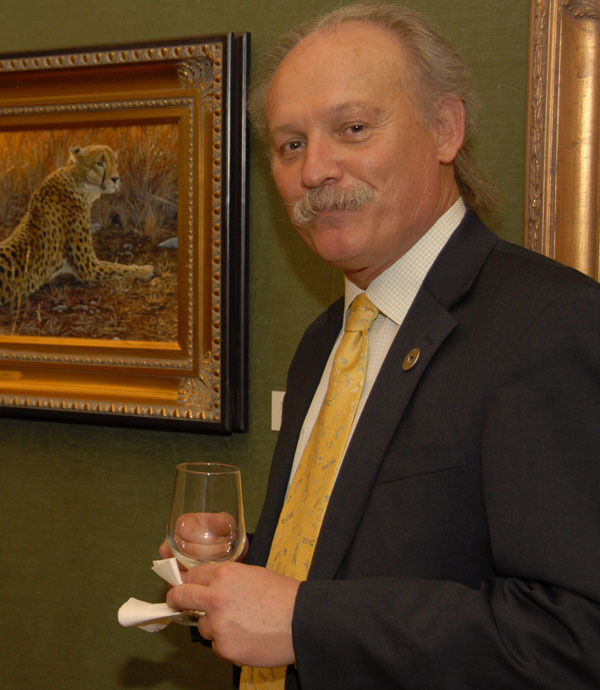 Craig at Jan's one person show on 5th Ave in New York City at the (then) FORBES CORPORATE GALLERIES. The show was all African work with a percentage going to AWF. The show was mostly sold out in 2 hours making AWF $10,000. On Jan's first trip to Africa, Craig just happened to be going Kenya as well. He was on Jan's flight from Amsterdam to the Nairobi airport. 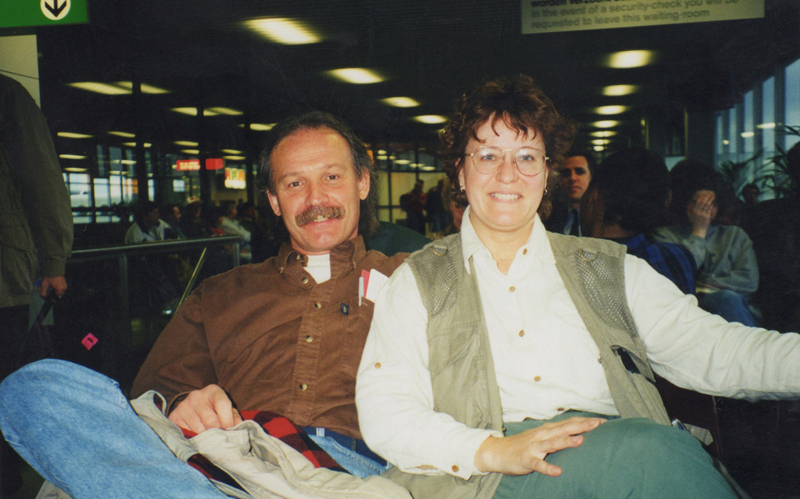 Here they are visiting in the Amsterdam airport - Craig with many trips under his belt - Jan with the sparkle in her eye in anticipation. "In Journey, Jan shares an intimacy in word and image that allows us insight into the natural world, as well as the view from behind the artist's lens. It takes amazing talent to capture visions of nature, and here we are privileged to join her not just as viewers of art but as witnesses to an encounter with the wild. 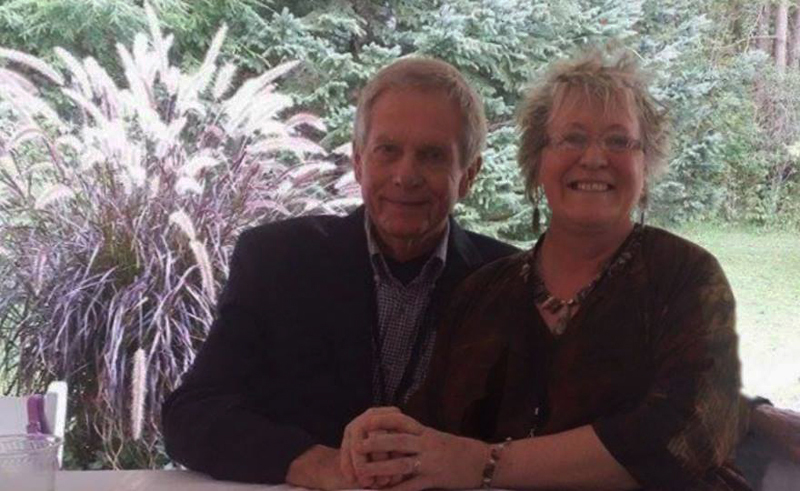 As publisher, we are thrilled to to help Jan share her perspective in this new release!" 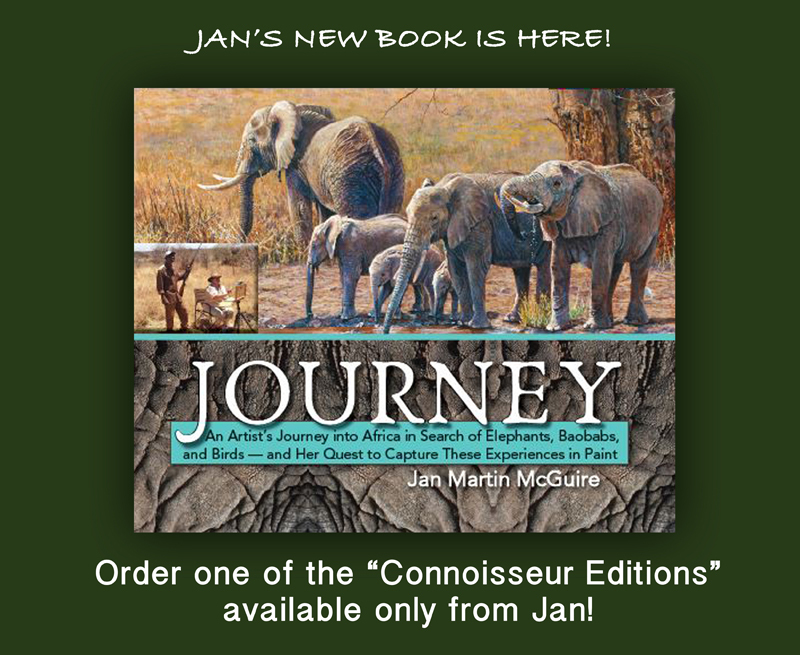 Follow along with acclaimed wildlife artist Jan Martin McGuire as she reminisces about her travels to Africa, sharing what led her to her first trip and what drives her to continue to return. 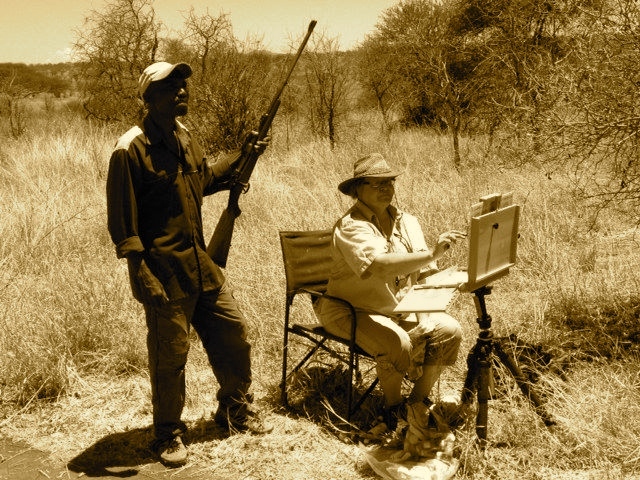 Jan writes of the joys, adventures and even some misadventures from her many African safaris, illustrating the tales with sketches, field paintings and photos from the veld. The book continues with Jan sharing her process for creating a major painting -"AT THE WATERHOLE." The book will put you in Jan's studio as she paints one of her majestic pieces. Through photos she will show you her thought process and how she depicts her painting's subjects so realistically, while also giving you insights into her methods from the first stage to the last. The hardbound editions all come with a DVD so you can actually watch as she demonstrates some of the techniques she uses to create many of the textures in the painting. is considered by many to be the preeminent female wildlife painter in the world. She and her husband, James Gary Hines II, have been traveling to Africa over the past two decades. During these travels she has kept a sketchbook and journal, sometimes even painting 'en plein air' (in the field.) From these collections and images she puts together an experience that artists and collectors alike will enjoy. Customers from the U.S. & Canada may order using safe, secure PayPal. All others please contact Jan.
DVD of Jan demonstrating some of her techniques she used in the painting for creating bark, dirt, rocks elephant skin, etc. Approx. 11 x 18 inches of "AT THE WATERHOLE"signed and numbered to match the number of your book. $25 in the continental U.S.
Any other place please e-mail us for a quote.